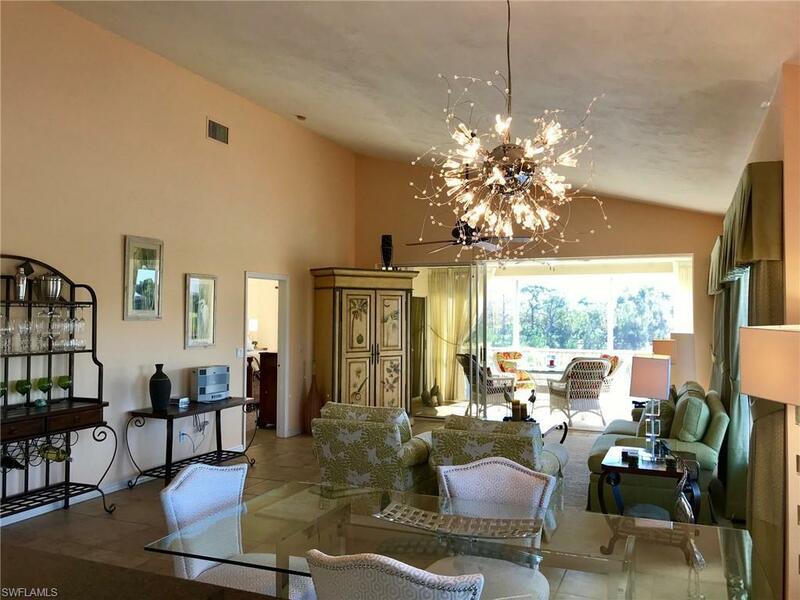 Amazing lake views and tastefully decorated condo in the private gated community of Bonita Bay. 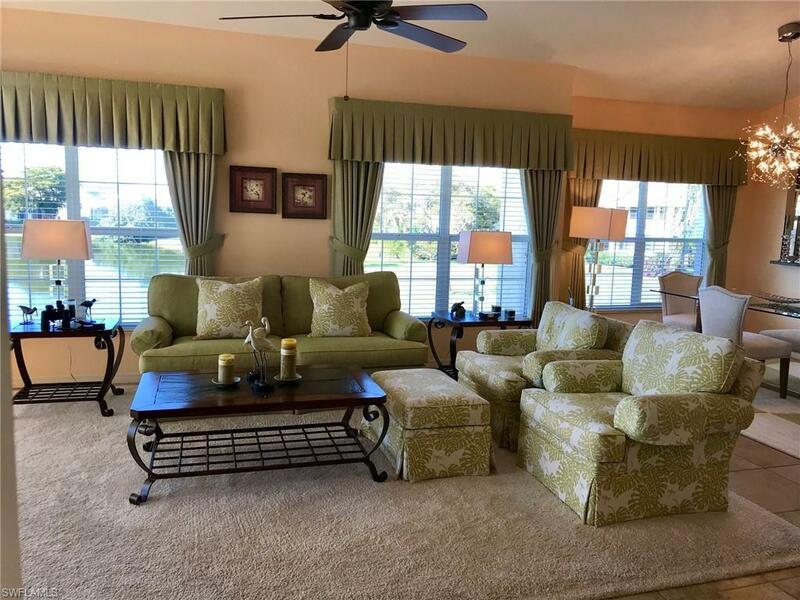 This 3 bedroom, 2 1/2 bathroom, 2 car garage condo features an open floor plan with a great living room, vaulted ceilings, oversized tile flooring throughout the living, dining & kitchen areas and carpet in the bedrooms, upgraded kitchen cabinets, granite countertops, stainless steel appliances etc. 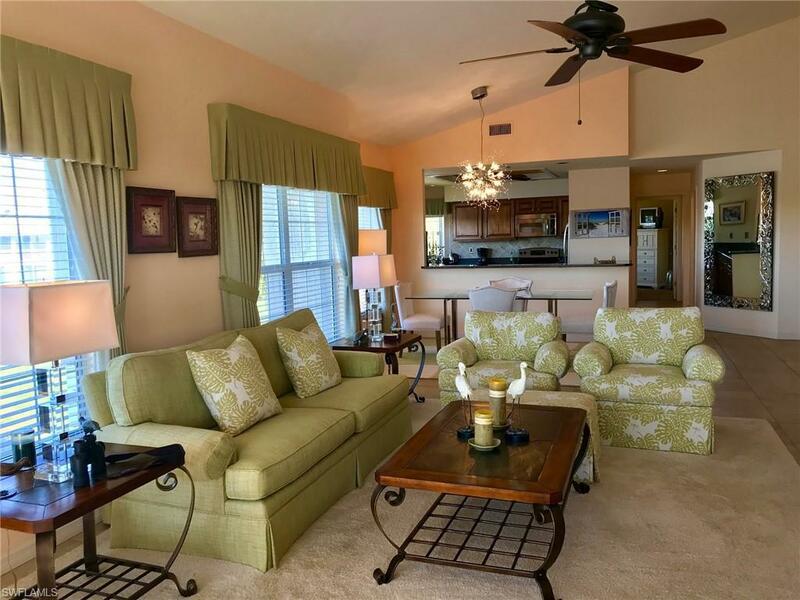 Enjoy beautiful sunsets on the screened lanai and the great amenities that Bonita Bay has to offer. 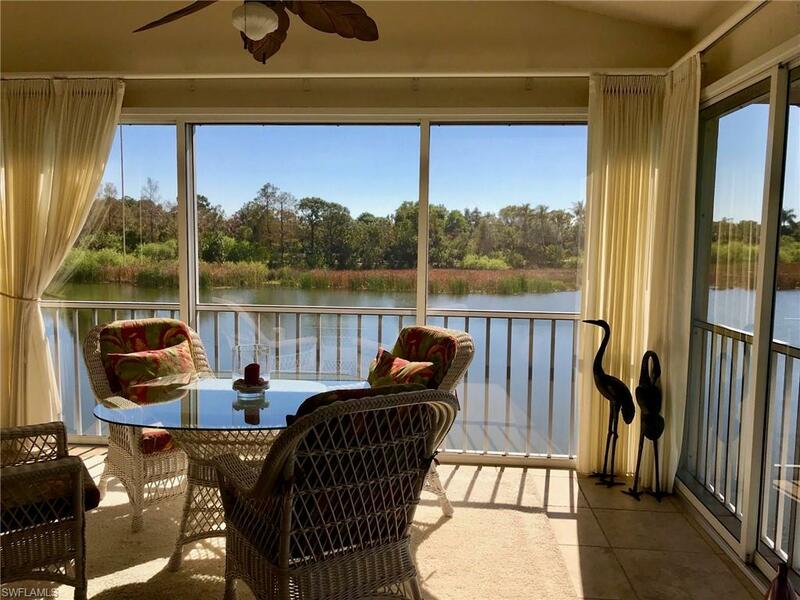 This 2,400 acre, gated community offers three recreational parks, picnic areas, miles of pathways for pedestrians, bicyclists and joggers, beach park with free parking or shuttle service and community pool. This condo is close to the Promenade shopping center, Coconut Mall and Miromar Outlets. Come and enjoy your Florida vacation today.